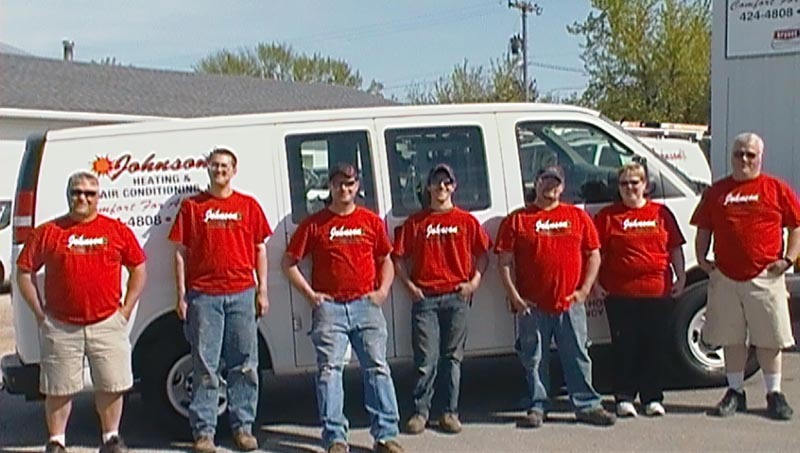 Johnson Heating & Air Conditioning is a leader in providing quality heating and cooling products and services in and around Mason City. We have been serving the area since 1996. Our friendly team of highly trained professionals are ready to assist you. We are dedicated to providing each customer with safe and effective solutions at affordable prices. Each customer’s comfort is our goal. Johnson Heating & Air Conditioning is licensed, insured and bonded. From small repairs to full installations, we are able to provide you with fast, affordable services you can trust. Thank you for your interest in Johnson Heating & Air Conditioning. If you would like to schedule an appointment, or simply send us a message, please fill out the form below. A representative will respond as soon as possible. To speak with someone now, or if you need emergency service, please call us at: (641) 424-4808.